Conservation groups and an increasingly aware public are aghast at the latest efforts by the Berejiklian Government to allow open slather on the environment and wildlife. On 9 March, the Land and Environment Court ruled the NSW Government's land-clearing laws invalid because they had been made unlawfully. The judgement was in response to a legal challenge by the Nature Conservation Council last November, represented by the Environmental Defenders Office NSW. The basis of the legal argument focused on the failure of the Primary Industries Minister Niall Blair to obtain the concurrence of the Environment Minister, Gabrielle Upton, before making the codes, as is required by law. The codes are a disaster for the environment, with the Government’s own assessment that they will lead to a 45% increase in clearing including 99% of identified koala habitat on private land. At 3.40pm on 9 March, legislation was passed effectively overturning the Land and Environment Court decision, by ensuring concurrence with the Environment Minister and thus legalising these appalling codes. The speed of action by the Berejiklian Government seems to point to the electoral power of vested interests. Is this Government hell-bent on destroying the environmental heritage of the State? 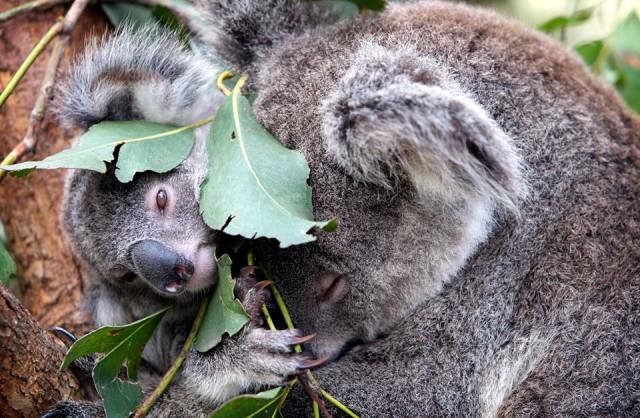 Over 2.2 million hectares of woody vegetation which has been identified as either being known or likely koala habitat could potentially be cleared under the equity code of the new land management framework. This equates to about 13% of the mapped woody vegetation across the State. Berejeklian – who came to office via the resignation of former Premier Michael Baird – is a Premier without a vote. Her record on environmental issues is the stuff of nightmares. The reality is that under this unelected person, who promised "open and transparent government", the State now has no legislation capable of protecting native forests, wildlife or their habitats. Legal challenges are now virtually impossible to mount as provisions for legal action have been removed and/or repealed. Let's start with native forests. According to the North East Forest Alliance, in February 2018, the NSW Government moved to change the rules to allow logging in "koala high use areas". Regional Forest Agreements are currently up for public comment. Both the Turnbull Government and the Berejiklian lot are under increasing pressure to scrap Regional Forest Agreements from the Greens and environmental groups which say the current review process is a sham. North Coast Environment Council coordinator Susie Russell said both governments were asking people to "drop-in" and comment on whether the RFAs should be extended for another 20 years. The main function of the RFA is to exempt logging from Commonwealth Environment Protection and Biodiversity Conservation law. This has been a disaster around the country. Logging is like a law unto itself, with minimal state government oversight and community groups banned from taking legal actions when breaches of the law are identified. We know both governments [NSW and Federal] are promoting intensification of logging, the introduction of clear-felling across most of the Mid North Coast, and weakening environmental protections for threatened species and headwater streams. They are also touting wood-fired power stations as "renewable" energy. Locations identified for such smokestacks are Bulahdelah, Kempsey and Grafton. In 2015, under (then) Minister for the Environment Greg Hunt, the Federal Government introduced an intergovernmental memorandum of understanding (MOU) on a Common Assessment Method (CAM) and a species assessment plan. Under the Common Assessment Method (CAM), a species will be assessed by only one jurisdiction. NSW happily signed on to the MOU as did other States. No public comment was advertised or allowed; no mainstream media covered the issue. The MOU was yet another dirty deal done in secret with profound ramifications for wildlife species. 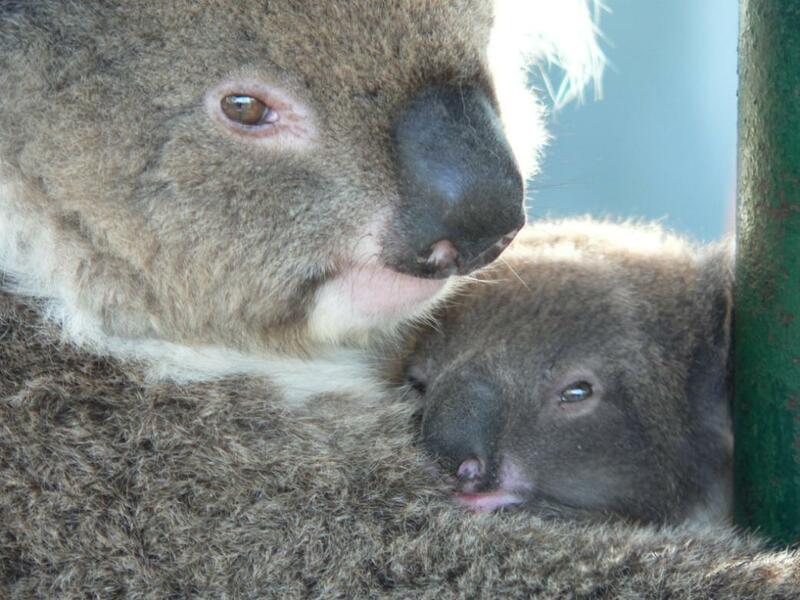 Last week, Liberal MLC Catherine Cusack proudly announced that the rapidly disappearing Port Stephens koala population would only be allowed to be listed once as "threatened" – no reason given – and that she believes that the new “single list” system will ensure that Port Stephens Koalas have the strongest possible legislative protections. This is absolute crap. A scientific submission supporting the upgrading of the Port Stephens koala population from threatened to endangered, prepared by koala expert ecologist, David Paull was provided to the NSW Scientific Committee in March 2015. The submission detailed the catastrophic loss of koala The data suggests an approximate 30% decline on the koala population since the early 2000s when it was estimated to be 300-500 mature animals (Lunney et al, 2007). In October 2017, the NSW Scientific Committee made a preliminary determination to upgrade the Port Stephens koala population to "endangered" status. Under Clause 4.1(5) of the 'Biodiversity Conservation Regulation 2017', a population of a species is not eligible to be listed as threatened if the species is separately listed as a threatened species under the 'Biodiversity Conservation Act 2016'. As the koala is listed as a threatened species under the Biodiversity Conservation Act and the 'Environmental Protection and Biodiversity Conservation Act l999', the population of the koala in the Port Stephens area is ineligible to be listed under the 'Biodiversity Conservation Act'. In other words, a single national listing of koalas prohibits States from declaring specific populations as endangered. So, goodbye Port Stephens koalas as there is now no protection of habitat, no legal options to protect the species — just bullsh*t from Coalition politicians. The proposed amendment of SEPP 44 will update the definitions of koala habitat. The definitions of core koala habitat and potential koala habitat will be replaced with definitions that identify the characteristics of plant communities which make up koala habitat and if there is evidence that koalas are present. The proposed amendment and updated guidelines will support councils to prepare comprehensive plans of management. The proposed amendment will also replace the requirement for the preparation of individual plans of management with standardised requirements set out in updated guidelines. Once again, another smoke and mirrors effort. No legal challenges are available under SEPP 44 and now we have plant communities as the priority when habitat mapping of koalas is readily available and relevant Councils are fully aware of koala habitat areas. Perhaps it would be more honest if Berejiklian and her coterie of Ministers who support her closed and non-transparent Government were honest with the public. Let’s hear the Premier’s policies of extinction loud and clear, straight from the horse’s mouth. Then we, the voting public who she’s supposed to represent, can make up our own minds who we will vote for. No bets, please. Climate change, industry certainty, and regulatory compliance are just a handful of the many topics discussed during the NSW Regional Forest Agreement (RFA) in-person consultation sessions over the past fortnight. The 20-year agreements between the NSW and Australian Governments are currently undergoing a review and renewal process, which includes an opportunity to update and improve the content to capture emerging issues. NSW Department of Primary Industries (DPI) Group Director, Forestry, Nick Milham, said stakeholder feedback is imperative at this stage and views will help shape the renewed agreements. “The consultation is a genuine chance to influence what form the NSW RFAs take for the sustainable management of our native forests for decades to come,” he said. Mr Milham said the two governments have conducted in-person stakeholder meetings and public drop in sessions in Lismore, Coffs Harbour, Bulahdelah, Eden, Batemans Bay, Tumut and Sydney throughout February. “In the sessions, we have heard from many environmental groups, industry members, local governments, the community and recreational forest users – providing a great insight into the key priorities and opinions of each group,” he said. “Feedback, questions, criticisms and endorsements have been welcomed throughout the sessions and it has been great to hear the community’s views first-hand. “The NSW Government has the difficult role of balancing the economic, social and environmental demands on forests, but there is sound logic, underpinned by peer-reviewed, internationally published science, to renew RFAs. RFAs are an overarching framework for the long-term sustainable management of the NSW Forest Estate, and for the needs of industry and users. They reflect international and national commitments for the sustainable management of forests. “RFAs seek to achieve a balance between ecological, social and economic forest values and require a series of more detailed frameworks to be put in place to achieve this balance,” Mr Milham said. “These include a Comprehensive, Adequate and Representative reserve system, a detailed regulatory framework covering the entire public and private forest estate, and industry certainty for timber supply and regulatory requirements. Feedback captured at consultation sessions has been documented, and alongside the online submissions, will help shape the renewed agreements over the coming months. “It’s not too late for stakeholders to have their say online, and we encourage those stakeholders yet to make a submission to strongly consider doing so,” Mr Milham said. Submissions towards the renewal of the NSW Regional Forest Agreements can be made online at www.dpi.nsw.gov.au, via email and via mail before 5pm on 12 March 2018. The Northeast Forest Alliance, The North Coast Environment Council and many other Conservation Groups are calling for an end to logging of our public native forests. Our public native forests are reported to be subjected to mismanagement that is impacting on forest health and the survival of our native species. Please visit www.nefa.org.au for more information and to take action on our Forests4Ever campaign. The NSW Nature Conservation condemns the NSW Government’s reintroduction of land-clearing laws that the Land and Environment Court ruled invalid last Friday. “By waving these laws through a second time without even pausing to consider the consequences, Premier Berejiklian has gone against the wishes of voters and the advice of leading scientists,” NCC CEO Kate Smolski said. “Ms Berejiklian has also squandered an opportunity to give the state’s 1000 threatened species a fighting chance of survival. “The government’s action is disappointing but sadly not surprising given its terrible record on the environment and seemingly callous indifference for nature. “These laws are literally a matter of life and death for native animals and should have been redrafted to include significantly stronger environmental protections before they were introduced. “The government’s own experts have warned 99% of koala habit on private land is left exposed to clearing by these laws and that there would be a spike in tree loss of up to 45%. This extraordinary order stemmed from a legal error made by the NSW Minister for Primary Industries in the making of the Code. The Minister had a legal obligation to obtain the concurrence of the Environment Minister before making the Code, which he failed to do. Later the same day, the Minister for Primary Industries remade the Code without amendment. Although not unexpected, it was very disappointing, for both us and our client – the Nature Conservation Council - that this was done without addressing any of the serious concerns raised in the legal challenge. In addition to the argument that the Primary Industries Minister failed to obtain the Environment Minister’s concurrence, we argued that, in making the Code, the Ministers did not take into account the legal principles of ecologically sustainable development, as they are legally required to do. Because the Government conceded the first ground, it does not now have to answer the second ground of the challenge in Court. Challenging the failures of Government Ministers to adhere to the laws made by Parliament is an important part of defending democratic principles and the rule of law. We are now scrutinising the new Code and will keep you informed of developments. Today a new Land Management (Native Vegetation) Code has been re-made by the Minister for Primary Industries with the concurrence of the Minister for the Environment. Landholders can be reassured the new Code is identical to the previous Code made in August 2017. This decision follows the identification of a procedural defect in the making of the previous Code in August 2017. The previous Code was the result of extensive stakeholder consultation and captures the intent of recommendations made by the Independent Biodiversity Legislation Review Panel. The Code is effective from 10 March 2018 and strikes the right balance between sensible land management and a healthy environment for the people of NSW. Saving Ballina’s Koalas – Will Pittwater’s Mistakes be Repeated? On Tuesday the NSW Road and Maritime Service’s (RMS) long awaited Ballina Koala Plan for Section 10 of the Pacific Highway upgrade appeared online, indicating that it had been submitted to Minister Hunt’s office for approval. All stakeholders, including Save Ballina’s Koalas campaigners, Friends of the Koala, IFAW (International Fund for Animal Welfare), the local and indigenous community need adequate time to digest the 309-page document, including the critical population profile report which was completed months ago but not previously released to key stakeholders to review. RMS has given a commitment to the community that the koala population will not be adversely impacted by construction of section 10. However, analysis of mortality data from Friends of Koala dating back 26 years proves that the population is already in dramatic decline, thanks to vehicle strike and domestic dog attacks. This fact is supported by the population study which also confirmed high rates of road kill. Lorraine Vass, President of the Friends of the Koala said, "The plan’s sole purpose was to enable RMS to realise its decade-long investment in a route that’s in the wrong place. You only have to look at the scale of destruction, fragmentation and loss that’s already occurred at Halfway Creek and in other upgraded sections to know that Ballina’s koalas are doomed. You can’t mitigate against extinction – it’s forever." Josey Sharrad, IFAW native wildlife campaigner says, "The Section 10 Pacific Highway Upgrade and the fate of the Ballina 200 has garnered world-wide attention and there are lots of people watching the process closely. "Over the next few weeks all the stakeholders will be working together to closely review the plan with a view to passing on our input to the minister. " Save Ballina’s Koalas spokesperson Jeff Johnson stated it was, "madness that the RMS ‘won’t even consider an alternative route that protects our critical koala populations and irreplaceable Aboriginal sites." Pacific Highway General Manager Bob Higgins today announced the Ballina Koala Plan and Population Viability Analysis (PVA) prepared for the Woolgoolga to Ballina Pacific Highway upgrade has been endorsed by the Koala Expert Advisory Committee and is now available. Mr Higgins said the plan and PVA had been submitted to the Federal Minister for the Environment and the Federal Department of the Environment for consideration and approval after months of careful research. “As part of the conditions of approval, Roads and Maritime Services is required to complete the Ballina Koala Plan and PVA before major work can start on the section between Broadwater and Coolgardie,” he said. “Months of work, including a thorough review by independent experts has led to the preparation and submission of the documents. “The PVA found extra mitigation measures on existing roads near the project would offset any impact of the upgrade on the local koala population and further proposed mitigation could improve the situation for koalas based on current predictions. “The study found the Ballina koala population will decline with or without the upgraded highway due to disease, predators and koala deaths on roads other than the highway. “The upgrade would be fully fenced to prevent animals from entering the road corridor and koala grids would be installed on interchange ramps to stop animal strikes from occurring. “Additional fencing will also be provided on key sections of Wardell Road near the new highway and the existing Pacific Highway north of Wardell and Coolgardie where the risk of koala strikes is higher. “About 26 wildlife crossings would also be installed as part of the upgrade, substantially increasing safe crossing points and about 130 hectares of koala feed trees will be planted to provide additional habitat. Meetings will be held with community groups to discuss the outcomes of the PVA and Ballina Koala Plan. See the Woolgoolga to Ballina Koala page for more information.